In need for nautical equipment for a photo-shoot, advertisement or maybe an exhibition? We ship worldwide. Payment through bank transfer, PayPal and Swish. We stock a wide selection of lighting equipment, portholes, ships' wheels and telegraphs, bells, navigation lamps and many more items too numerous to mention. Solid brass; nothing else will do! For part of our extensive selection please see below! 20th century brass search light, mounted on revolving metal stand, as used aboard naval vessels as well as along the banks of the Suez Canal. Pair of early 20th century navigation lamps made by J.C. Larsén & Co., Österlånggatan 43, Stockholm. The oil-burning lamps are housed in red and green painted galvanized port and starboard cases. Electrified 20th century copper and brass anchor light marked Ouvrard & Villars, St. Ouen 357. Electrified 20th century copper stern light marked T505 & G41079. Made by Eli Griffiths & Sons Ltd., Birmingham. Electrified 20th century all round red signal light in copper and brass, marked BT 400 NK 77. Electrified 20th century all round green signal light in copper and brass, marked BT 400 NK 77. Electrified 20th century all round red signal light in brass. Made by William Harvie & Co. Ltd., Ships Lamp & Lighting Manufacturers, Bishop Street, Birmingham (not under command). Marked 19173. An unusual pair of early 20th century navigation lamps made in a single unit housing both the port and starboard oil-burning lamps in one and the same case. Red and green painted case with detachable light-separating unit. Marked with three crowns St 18772. A pair of early 20th century navigation lamps with oil-burning lamps missing, red and green painted galvanized port and starboard case. A pair of 20th century electrified brass navigation lamps with double lenses. Made by Bottaro Giovanni, Mura del Molo, Genoa. 20th century electric engine room and bulkhead lights made in solid brass. 20th century electrified ceiling lamps in brass. 20th century electrified bulkhead lamps in brass. 20th century electrified ceiling lamps. Brass and opal glass shade. 20th century electrified ceiling lamps with brass grating, aluminum base and enamel shade. 20th century electrified brass signal lamp. Early 20th century bulkhead light in brass with bevelled glass. Kerosene burner missing. Made by Eli Griffiths & Sons, Birmingham. 1930's kerosene lamp for masthead light, made of copper and with brass burner. 1930's kerosene lamp for a starboard light, made of copper and with brass burner. A pair of sconces for candle, mounted in gimbals. Mahogany, brass and metal. Made by Pascall Atkey & Sons. Age: ca 1900. A pair of early 1920's chrome-plated sconces for candle. Size: Height 26cm, Depth 10cm. Early 20th century kerosene lamp in brass, made by Karlskrona Lampfabrik, Sweden. Early 20th century chrome-plated "Diamond" kerosene lamp with ribbed glass-shade. Made by Akron Lamp Company, Ohio U.S.A. Incl operating instructions and original accessories. Early 20th century carbide lamp made of brass, with glass-shade. Marked with Three Crowns, Typ 4 and No 65. Made by MF-AB Eskilstuna, Sweden. Late 19th century portable brass lamp made by Karlskrona Lampfabrik, Sweden. Crown-marked with the Swedish Navy symbol and with the initials A.T. Today electrified. 20th century morse, signal and emergency lights made of solid brass. Early 20th century beacon made by AGA Gas-accumulator Stockholm, System Dalén. Made of copper and brass. Incl bulb socket for possible conversion into electricity. 20th century beacon made by AGA Gasaccumulator Stockholm, System Dalén. Made of red-painted brass. 20th century gas-fired beacon ignition apparatus made by AGA Gasaccumulator Stockholm, System Dalén. Made of red-painted brass. Early 20th century Solar Valve made by AGA Gasaccumulator Stockholm, System Gustaf Dalén. VS-10 No 5569. Brass and glass, including protective cover made of painted metal. 20th century beacon made by AGA Gasaccumulator Stockholm, System Dalén. Made of brass and copper. 20th century beacon made by Gas-accumulator Stockholm, System AGA Dalén. No 2225. Made of copper and brass. Set of early 20th century port, starboard and masthead navigation lights. Made of painted sheet metal. Complete with kerosene burners. 20th century chrome-plated kerosene table/ceiling lamp with frosted glass, made in Sweden by Optimus (glass made in West Germany). No 200. Detachable enamel shade. 20th century chrome-plated kerosene table/ceiling lamp made in Sweden by Optimus (glass made in West Germany). No 200. 20th century electric engine room / bulkhead lights made of solid brass. 20th century combined table/ceiling/wall kerosene lamp made of brass. With frosted glass, made in Sweden by Optimus (glass made in West Germany). No 1200. Electrified 20th century copper anchor light made by C.M. Hammar, Göteborg and marked with three crowns, ANKAR-CJ-G31692. Pair of 20th century Dutch copper navigation lanterns, port and starboard. Including oil burning lamps. 20th century copper stern light fitted with oil burning lamp. Made by C.M. Hammar, Göteborg and marked with three crowns, AKTER-G35766. Pair of 20th century navigation lanterns made by C.M. Hammar, Göteborg and marked with three crowns, G35762 and G35763. The oil burning lamps are housed in copper cases, marked BABORD and STYRBORD. Electrified 20th century copper anchor light marked with three crowns and KK (Karlskrona) 603615. 20th century copper stern light. Manufacturer unknown. Marked with Tø-1814 10/51. Early 20th century painted "all-in-one" port and starboard light. Complete with kerosene burner. Sold by Herman Gotthardt, Malmö. 20th century electrified copper masthead light. Made by Rosengrens Bleckslageri AB, Malmö Sweden. Marked with three crowns and Register No. St 28104. 20th century white painted, galvanized masthead light. Excl kerosene burner. 20th century electrified copper starboard light. Excl light bulb bracket. 20th century Danish electrified copper anchor light. Made by Harnisch & Co Copenhagen. 20th century electrified brass anchor light. Made by T. Debarbieri, Genova/244. Marked GE 10958. 20th century white painted galvanized masthead light, complete with original kerosene burner. Marked Meteorite 034711. 20th century electrified deck light in copper and brass. Complete with mounting bracket (1 screw missing). 20th century electrified copper deck light. Tilley early 20th century kerosene floodlight projector. Made at Hendon, England. 20th century electrified adjustable deck floodlight. Made of brass and copper. 20th century engine room light. Made of copper and brass, incl ceiling support. 20th century electrified deck light in copper and brass. Complete with mounting bracket. Early 20th century electrified deck light made of copper and brass. 20th century electrified (low voltage) bulkhead / ceiling lamps. Brass and white metal, marked "Robo". Size: Diameter 14,5cm, Height 8cm. 20th century electrified (low voltage) engine room / bulkhead light made of solid brass. 20th century binnacle hood. Made of brass. Manufactured by Rejna Zanardini, Milano Italy. Early 20th century hand-held kerosene lamp. Made of sheet metal and brass by C.M. Hammar, Gothenburg Sweden. 20th century kerosene bulkhead lamp in brass. With detachable burner/container. Late 19th century kerosene bulkhead lamp in brass. With detachable burner/container. Set of 20th century electrified copper/brass port, starboard and masthead lights. For 6/12/24 volt use. Made by S.W.M.F. Early 20th century electrified bulkhead lamp in brass. Early 20th century kerosene bulkhead lamp in brass. With detachable burner/container. Made by J. C. Larsén & Co, Österlånggatan 43 Stockholm. Set of early 20th century kerosene port, starboard and masthead lights. Made of sheet metal. With detachable burner/container. Early 20th century electrified copper signal lantern. Made by AGA Stockholm. 20th century adjustable electric bunk/berth lamps. Made of brass and copper (in need of repair). 20th century adjustable electric bunk/berth lamps. Made of brass. 20th century adjustable electric bunk/berth lamp. Made of brass. 20th century electrified copper masthead light. Marked with three crowns/Km 22092. Made by Erik Ohlsson Helsingborg (Sweden). 20th century electrified chart room table lamp. Flexible, made of brass. 20th century electric engine room / bulkhead light made of solid brass. 20th century electric engine room / bulkhead light made of solid brass. Red glass. 20th century bulkhead light made of solid brass. Early 20th century copper and brass anchor light, complete with kerosene burner. Marked Seahorse G.B., Trade mark 40226 "Not under command". 20th century electrified ceiling lamp made of brass. 20th century copper masthead light. Manufacturer unknown. Early 20th century brass kerosene lamp for masthead light. 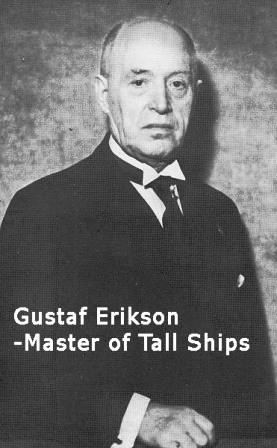 Made by Dahlstedt & Svensson, Stockholm. Pair of 20th century Norwegian copper navigation lanterns, port and starboard. Including oil burning lamps. Mid 20th century 1st class cabin lamp from the Italian liner M/N Rossini. Mid 20th century dining room lamp from the Swedish passenger vessel M/S Birger Jarl, built 1953. Early 20th century chrome-plated kerosene bulkhead lamp. With detachable burner/container. Made by J. C. Larsén & Co, Österlånggatan 43 Stockholm. Mid 20th century electric revolving brass searchlight "RAYDYOT", made by J. Neale and Sons Ltd., Birmingham, England. Mounted on wooden base. Size: Height 34cm, Width 23cm, Diameter (wooden base) 15cm. 1930's/1940's battery driven emergency light. Made by Oldham England, No 900-4090. Brass, detachable handle. Size: Height 17cm (excl handle), Diameter 9,5cm. Mid 20th century battery driven emergency light. Brass, detachable handle. Size: Height 20cm (excl handle), Width 16,5cm, Depth 7,5cm. 20th century kerosene binnacle lamp made of brass. Complete with original Barton's burner. Set of early 20th century kerosene port, starboard and masthead lights. Made of copper. With detachable burner/container and incl stand. 20th century chrome-plated kerosene table/ceiling lamp made in Sweden by Optimus No 1551/500 CP. 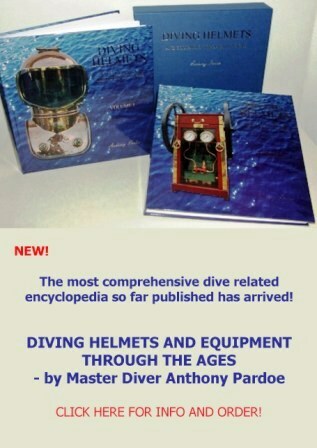 Incl instructions for use, spare parts and original box. Unused condition. 20th century brass kerosene bulkhead lamp. With detachable burner/container. Pair of early 20th century Swedish copper navigation lanterns made by Erik Ohlsson, Hälsingborg. Marked ST 45425 & ST 45426. Port and starboard, including oil burning lamps. Size: Height 46cm (excl handle). Size: Diameter 9cm, Height: 29cm (excl handle). 20th century electrified copper masthead light. Manufacturer unknown. Early 20th century electrified copper anchor light. Marked K60149JK 20-2-61. Manufacturer unknown. Early 20th century electrified copper anchor light. Manufacturer unknown. Pair of mid 20th century galvanized navigation lanterns. Port and starboard, made by the Boats' Fittings Company Marine Engineers Bristol. Pair of electrified 20th century Swedish Navy copper navigation lanterns, made by Erik Ohlsson, Hälsingborg. Crown-marked Km 29192 & Km 29193, port and starboard. Early 20th century anchor light, made by Karlskrona Lampfabrik, Sweden. Complete with kerosene burner. Size: Height excl handles 44cm, Diameter 35cm. Early 20th century anchor light, complete with kerosene burner. Size: Height excl handle 26cm, Diameter 20cm. Early 20th century gangway/gunnel gate (detachable). Iron, brass & teak. Size: Height 100cm, Width of opening/gate 95/105cm. 20th century admiralty-anchor in solid brass with detachable anchor-stock. Marked LPHG 2000, 1952. Size: Height incl shackle 97cm, width 58cm. A pair of 20th century galvanized and painted ventilation-cowls. Size: Height 165cm, width 66cm, diameter (bottom) 39cm. 20th century painted metal ventilation-cowl. Size: Height 62cm, width 28cm, diameter (bottom) 16cm. 19th century painted metal ventilation-cowl. Size: Height 90cm, width 16cm, diameter (bottom) 11cm. Size: Height 245cm, width (maximum) 113cm, diameter (bottom) 61cm. A pair of 20th century ventilation-cowls in copper and metal. Size: Height 190cm, width (maximum) 104cm, diameter (bottom) 63cm. 20th century solid sand- and handcasted brass ventilation-cowl. Size: Height 37cm, diameter (base) 17cm. Size: Height 28cm, diameter (base) 17cm. Size: Height 80cm, diameter (base) 32cm. Early 20th century German ships telegraph. Made by Wilhelm Rump, Hamburg. Brass, mounted on wooden base. 20th century bollards, cleats and dorado-ventilators made in solid brass. Early 20th century sand-casted solid brass bollard. 20th century solid brass bollard. Size: Height 23cm, length 60, width 18cm. A pair of 20th century cleats in solid brass. Size: Height 12cm, length 52cm, width 8cm. 20th century rigging or bottle screws, shackles and rowlocks made in solid brass. 20th century rectangular and round brass portholes with and without "storm-lid". 20th century two, three and four-bladed propellers in solid brass. 19th and 20th century blocks, pulleys and deadeyes with and without rope work. 19th and 20th century ships bells made in solid bronze and brass. 20th century brass fog-horn made by AB Uno Hasse, Gothenburg (Mistluren "Signal", patent 2126). Mid 19th century bronze ship's bell from the ELISE HENRIETTE dated 1853. Early 20th century bronze ship's bell. Late 19th century octagonal brass binnacle hood, complete with detachable kerosene lantern. Our stock cover a great selection of 19th and 20th century wooden ships' wheels in mahogany, teak and oak, covering diameter 30cm-240cm. Contact us for more information! with double brass bands and brass frame. Late 19th century eight-spoked mahogany ships wheel with double brass bands and a central brass hub decorated with a casted swan. with double brass bands and central brass hub. 20th century six-spoked brass steering wheel with mahogany handles. 20th century six-spoked galvanized steering wheel with handles in mahogany and brass. Late 19th century eight-spoked mahogany ships wheel with double brass bands and central brass hub. Early 20th century ten-spoked ships wheel in teak. With double brass bands and central brass hub. Made by Brown Bros. & Co Ltd Edinburgh. Salvaged mid 19th century ten-spoked ships wheel in teak. Wood and iron hub (incl part of the shaft). With double brass bands. Early 20th century eight-spoked greenpainted ships wheel. Made of oak. With double brass bands and central brass hub. Late 19th century ten-spoked ships wheel. Made of teak. With double brass bands and central brass hub. Made by Elcano - B.D.T. Manises España. Late 19th century ten-spoked ships wheel. Made of teak. With double brass bands and central iron hub with brass casing. Late 19th century ten-spoked ships wheel. Made of teak. With double brass bands and central brass hub. Late 19th century eight-spoked ships wheel. Made of mahogany. With double brass bands and central brass hub. 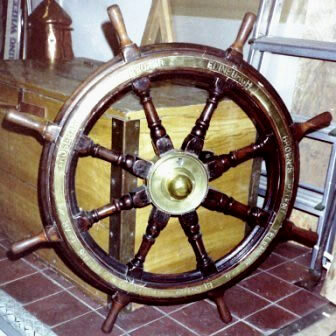 20th century six-spoked ships wheel. With double brass bands and central brass hub. 20th century six-spoked laquered oak ships wheel. With brass band and central brass hub. 1920's eight-spoked ships wheel. Teak, brass band. 1920's six-spoked ships wheel. Teak, chrome-plated brass band. Early 20th century eight-spoked ships wheel. Oak, metal band and hub. 20th century six-spoked teak ships wheel. With central crome-plated brass hub. steering wheel with teak handles. Stained oak, brass band and handle, metal hub. Mid 20th century six-spoked brass steering wheel with oak handles. Mounted on wooden base. Size: Diameter 33cm incl spokes. Depth: 15cm. 1920's/1930's six-spoked ships wheel. Teak, brass band and hub. Size: Diameter 41cm incl spokes. Mid 20th century six-spoked teak steering wheel. Size: Diameter 31cm incl spokes. Depth: 12cm. Early 20th century ships wheel stand/base. Black-painted metal, brass top. Size: Height 76cm. Base diameter 27,5cm. Top diameter 21cm. Shaft: Length excl knob 9,5cm, diameter 38mm. 20th century engine room telegraph made of brass, as used by the Swedish Navy. Made 1943 by Webesenior Hagen UK. Size: Height 40cm, Diameter 29cm. 20th century Chadburn's ship telegraph as used by the Navy. Sequence of orders: Stop, increase, steady, decrease, gas alarm, full, stop smoke, gas clear, make smoke. Made of copper and brass. Early 20th century double-sided ships telegraph. Made by Donkin & Co Manufacturers, Newcastle on Tyne. Early 20th century Norwegian one-sided ships telegraph. Maker unknown. A pair of early 20th century one-sided ships telegraphs off the vessel Viscountess, containing both the bridge and the engine room telegraph with connecting chains. Made by Chadburn`s Ship Telegraph Co. Ltd., Liverpool. Size: Height 103cm, diameter 26cm. 20th century double-sided brass ships telegraph. Made by A, Robinson & Co Ltd. Liverpool & Glasgow. Early 20th century double-sided ships telegraph. Made by A. Robinson & Co. Ltd., Patentees & Manufacturers, Liverpool & Glasgow, established A.D. 1760. 20th century signaling projector in brass, mounted on reversible stand. Made by Francis Searchlights Ltd. Bolton Lancs England. 15 inch signaling projector, Patt no 5850-99-523-9810, year 1979, serial s79 124. 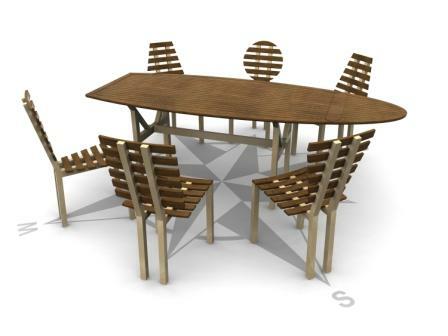 Size: Height 175cm, width 65cm, depth 55cm, diameter brass base ca 35cm. 20th century pressure gauges in brass mounted on wooden panel. Size (panel measurements): ca 115cm x 68cm. 20th century adjustable brass searchlight (reflector missing). 20th century adjustable brass searchlight.